America's best-selling full-size SUV is back for the 2019 model year with its legendary reliability, bold styling, and assertive performance. The 2019 Chevy Tahoe features spacious seating and cargo room, and advanced technology that'll give you the tools needed for any adventure or every day commute. If you're ready to explore this crowd and industry favorite, download the official brochure from Graff Bay City for more info! In the digital brochure, you'll find photos specs of each trim level as well as details on technology, safety, and convenience features. Click the button below to view the brochure! If you've decided you're interested in the 2019 Tahoe, it's time to see what's out there and available near you. 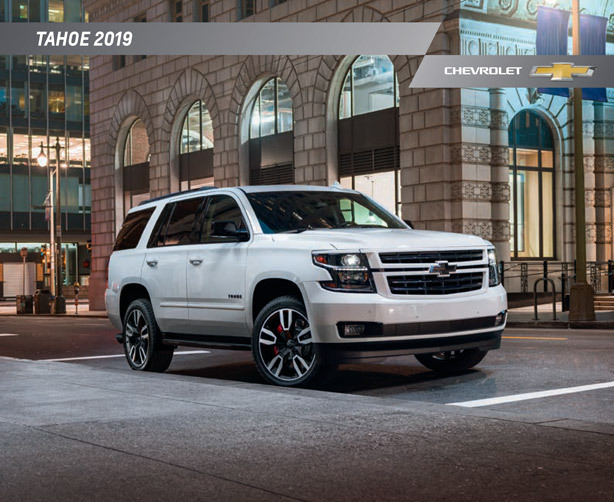 Click the button below to view our current selection of Chevy Tahoe models and see photos, pricing information, and full window sticker details for each model. Our listings are updated daily and available 24/7 online so you can shop at your convenience! If you find a Tahoe you love, give our team a call at (989) 684-4411 to schedule a test drive. 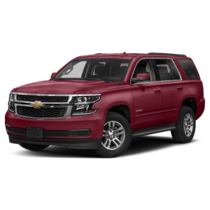 By taking one for a spin and letting our Chevy experts show you around all the various features, you'll be able to determine if this full-size SUV is the right one for you. However, if you're not finding what you're looking for, let us know and we'd be happy to go on the hunt for the Tahoe model of your dreams!